Have you been injured in a car wreck? Contact a car accident lawyer at Munley Law today for a FREE consultation. When you or someone you love have been injured in a car accident, your choice of car accident lawyer matters greatly. 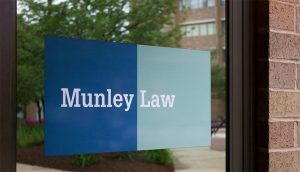 The attorneys at Munley Law have consistently been recognized among the Best Lawyers in America (via Best Lawyers), Pennsylvania Super Lawyers (via Pennsylvania Magazine), and the nation’s Best Law Firms (via U.S. News and World Report). We are proud members of the Multi-Million Dollar Advocates Forum, and have built a reputation for excellence in the legal profession. When you work with us, you can be confident that your car accident case is in the best possible hands. For more than 55 years, the car accident attorneys at Munley Law have been handling auto accident claims on behalf of injured victims. We know fighting the insurance company on your own is an uphill battle. That’s why you need an experienced car wreck lawyer by your side to help you get the compensation you deserve. Our diligent staff works day and night to make sure your case is handled with the utmost care. Call today at (855) 866-5529 or use our online form to schedule your free consultation. Don’t Let A Car Accident Turn Your World Upside Down. Put Your Case In The Right Hands. When car accidents happen, the injuries can be catastrophic, but even seemingly minor injuries can disrupt an injured victim’s life and turn their world upside down. In addition to the physical pain and emotional distress you experience, you may also face unexpected costs or be unable to work. As the injured victim, you may be able to take legal action in order to get reimbursed for these damages. But, navigating the legal process and dealing with insurance companies can be overwhelming. That’s where our team of experienced car accident lawyers can help. Accident victims who have an experienced car wreck lawyer on their side typically receive more than three times the compensation than those who go it alone. Insurance companies profit by paying as little as possible to automobile policyholders and car accident victims. Never accept an offer from the insurance company without first speaking with a top-rated car crash lawyer who will protect your legal rights. As your representative, a car accident attorney at Munley Law will guide you through the legal process and help ensure that you get every dollar you deserve. We also help our clients pursue wrongful death claims against at-fault drivers in order to get justice for their loved ones and provide future security for their families. In addition to regular car accidents, we represent victims of bicycle accidents and motorcycle crashes, as well as pedestrians who have been hit by a car. Not all car accident law firms are created equal. But how do you know who you can trust to get the maximum compensation for you and your family? Below is a partial list of our car wreck settlements and verdicts. We fight to make sure you get everything you deserve. At Munley Law, we believe that all people should have equal access to the justice system, regardless of income. That’s why we do not charge a fee for our services unless we win your case. We cover all the upfront costs so that you don’t have to pay anything out of pocket. Our contingent fee (a percentage of the settlement or verdict we obtain for you) will never exceed the total amount paid to you. If we are unable to produce results for your car accident case, you owe us nothing. Getting into a car accident can be a frightening and stressful experience, especially if you are injured. Several questions are probably running through your head at this time: How am I going to pay the medical bills? What if my car can’t be salvaged? Will the insurance company deny my claim? We are here to answer your questions. If you or someone you love has been injured in a car crash, an experienced car accident lawyer at Munley Law is ready to fight for you today. Cost is no object when it comes to hiring a top Pennsylvania car wreck attorney at our firm because we do not collect a fee unless we recover financial compensation for you. Call today at (855) 866-5529 or use our online form to schedule your free consultation. Our list of most Frequently Asked Questions on car accidents may provide additional help and guidance. A: In some cases, particularly if the accident was minor and you suffered no injuries, car insurance should cover the damages. However, if you’re hurt, it can be difficult to get compensated for treatment, therapy, time missed from work, and more. Statistically, people represented by lawyers get three times more settlement money than people who do it themselves. So, while you don’t need a lawyer, having legal representation can ensure that you receive everything you are owed. If you’re unsure whether or not you need a lawyer, give us a call. There’s no charge for the initial consult, and we can help you determine next steps. Q: How much does it cost to hire a car accident lawyer? A: At Munley Law, we only collect a fee (a standard percentage of the settlement or verdict) if we win your case. This way, anyone can afford the best possible legal representation, and cost won’t prevent you from getting the justice you deserve. Q: What can I get reimbursed for after a car crash? Q:What should I do in the days following my wreck? Keep a record of all medical appointments, prescriptions, diagnoses, test results, treatment, and any pain you experience. Q: What is the difference between full and limited tort? Under the above circumstances, you would effectively “breach” limited tort and enjoy the benefits of full tort. If you think you may have a car accident case, contact us now for a FREE consultation.